The innovative Excite diving fin has been optimised for low fatigue on dives, with Mares' great channel thrust technology! Innovative materials for a more harmonious thrust provided by a blend of thermoplastic rubber and techno polymers. Enhanced channel thrust optimised for low fatigue and colour coordinated bungee strap add a touch of style. The open heel design bungee straps have a large thumb pull loop for easy donning and doffing. 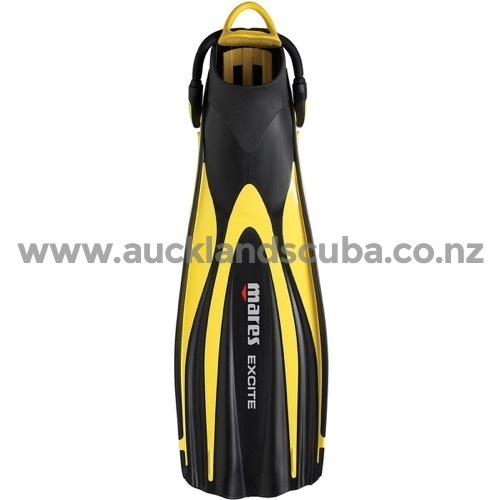 The fins blade measures 15.7" (40 cm) in size regular, has a non-vented blade surface area of 124 sq. in. (800 sq. cm.) and weighs 2 lbs. (900 g). 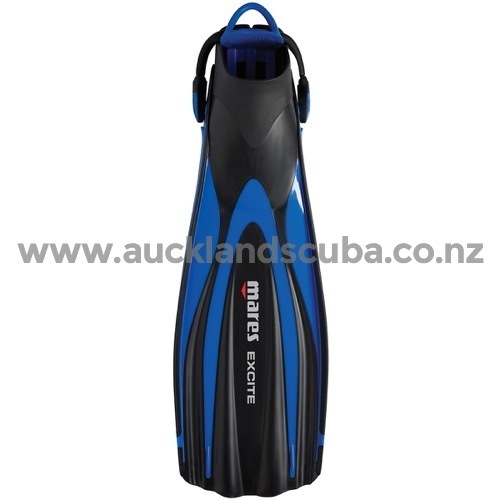 Fins are available in multiple sizes and colours.